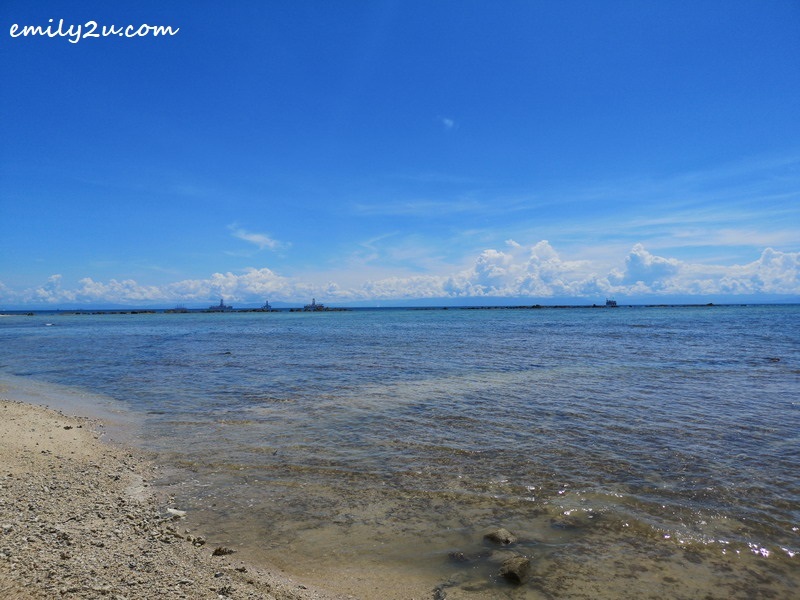 If you have been following my social media accounts, you would know that I was in Labuan (again) recently. It was my second trip to the Federal Territory this year. The highlight for this trip was Labuan’s 100th anniversary Remembrance Day memorial service, while the rest of the 5-day trip were filled with tourism related activities. 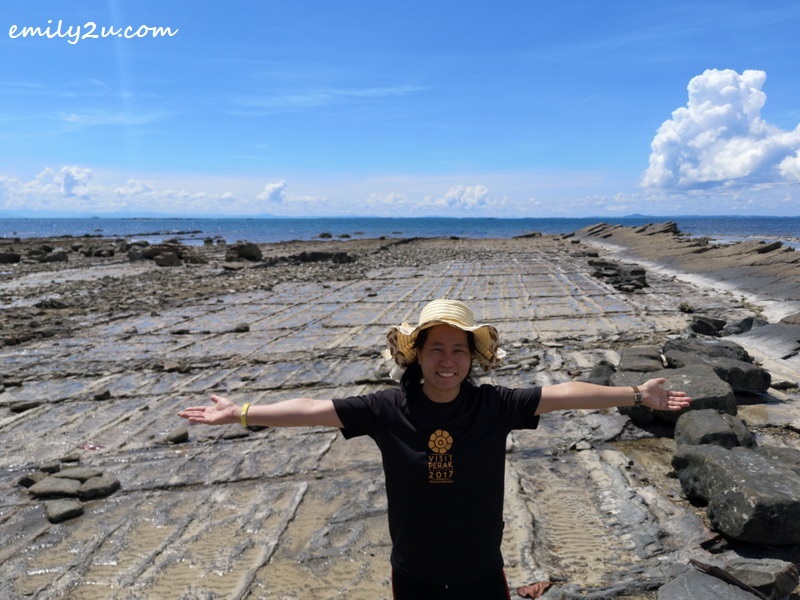 My previous trip to the Pearl of Borneo was in April, and I had already visited most of the major attractions of Labuan. Therefore, I didn’t expect to get much product update in seven months, truthfully. 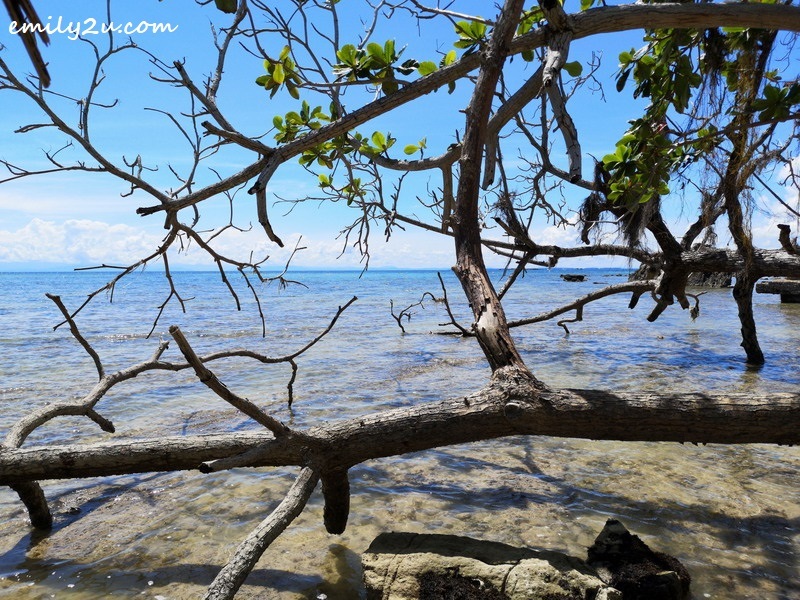 This time, we also sailed to Pulau Rusukan Besar, one of the three islands that make up the famed Pulau Mayat of Labuan. 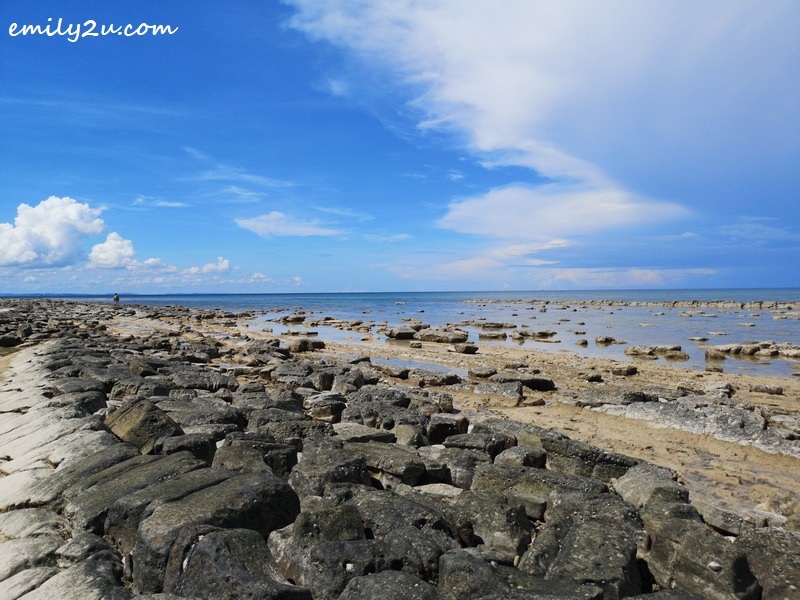 Read my earlier post to find out what to do at Pulau Rusukan Besar. I thought that was all but to my surprise, this time ’round, I uncovered the island’s hidden gem. 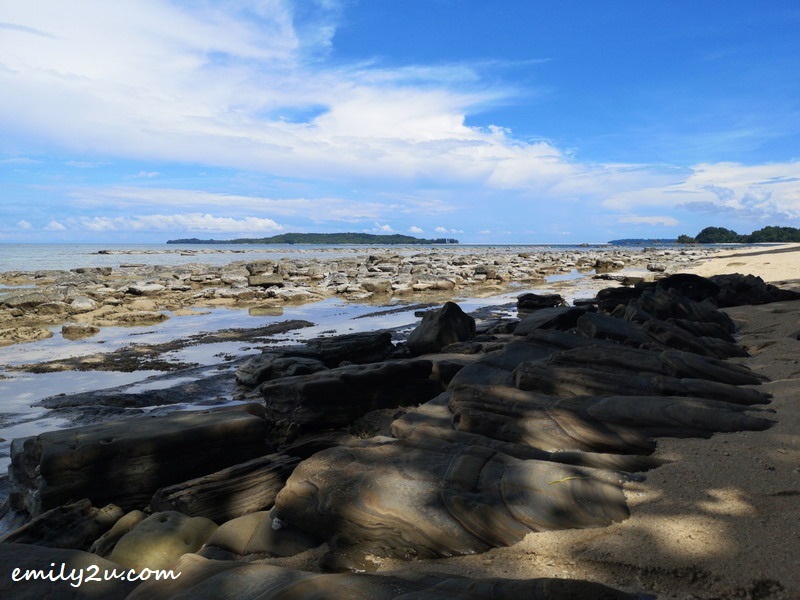 There is another side of this island that not many get to see, as it only reveals itself during low tide. 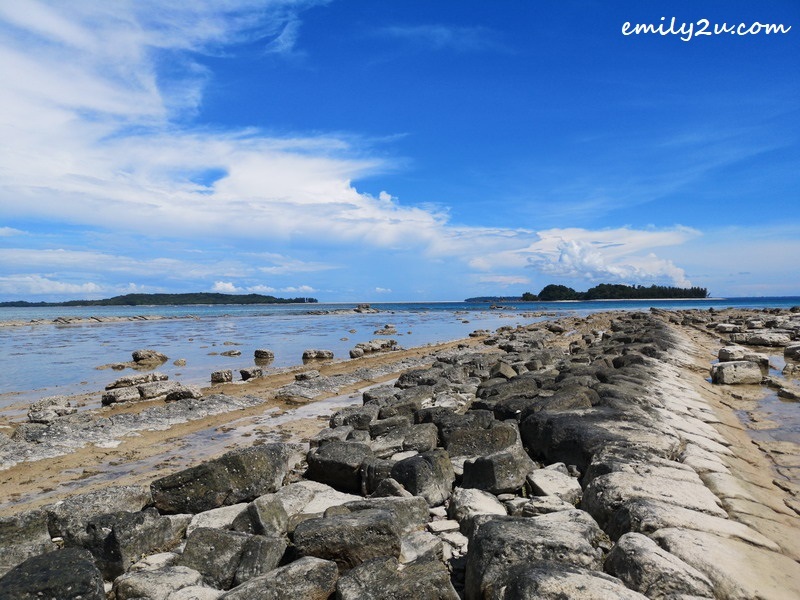 Low tides are when visitors can take a stroll around the island. The entire trail normally takes just 45 minutes to an hour; not too bad a task! However, the scorching sun was killing me when I undertook it that morning. Still, this is an activity that I would highly recommend, simply for its breathtaking views. Even if you do not like to pose for photographs, trust me, you won’t want to miss sights like these! One of the highlights of the trail is what the locals call “batu sawar”, which looks like “petak sawah” without the paddy. It could be the ocean floor. After all, during high tide, the area is covered fully with sea. There is a folklore on this “batu sawar”, something about a legendary character, so strong that when he sneezed, his ship crashed into the island as it couldn’t be stopped, creating a flattened land. 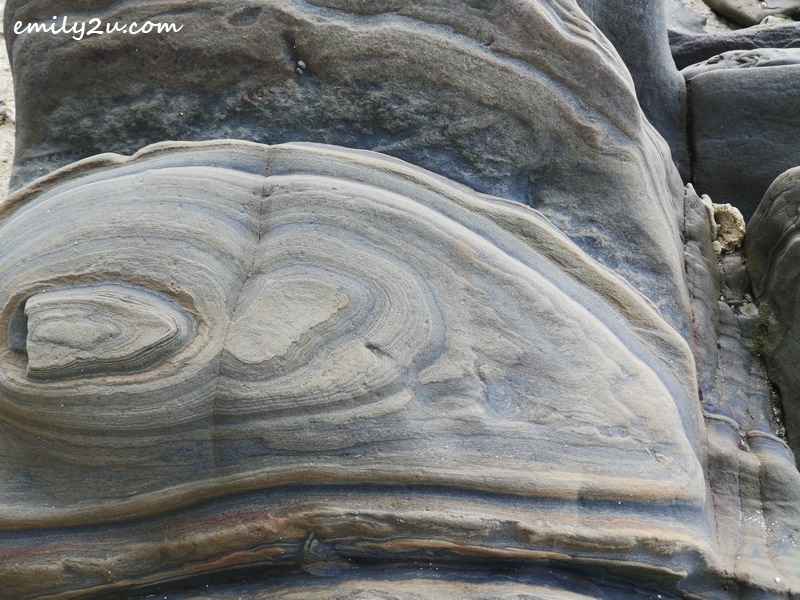 Also, when you are there, do pay attention to the swirling patterns on the huge rocks, made by the strong sea currents over a long period of time. They are really mesmerising, unlike any I’ve seen before. Another interesting fact is that Brunei Darussalam is just across the sea. PRO TIP: Switch your mobile phone to Airplane Mode so as not to get charged for international calls or roaming. We don’t want to get a heart attack at the end of the month when the telco bill arrives! 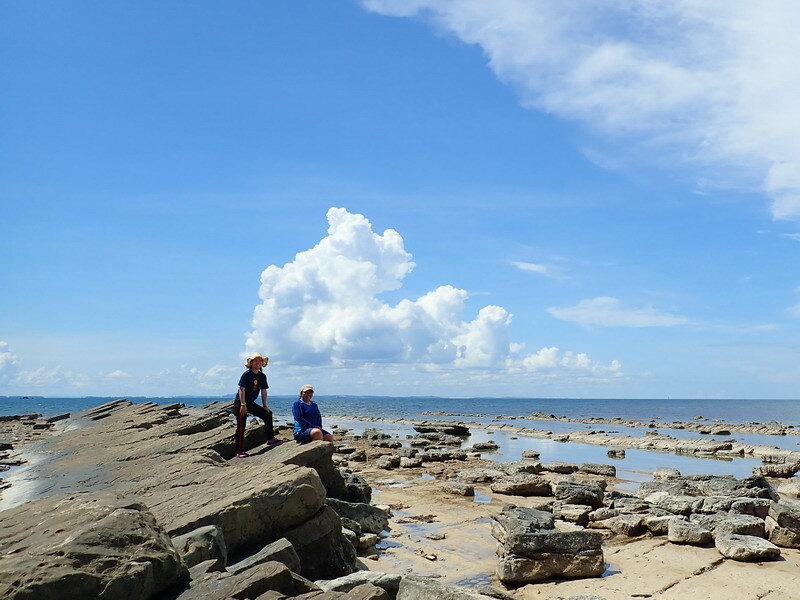 Visits to Pulau Rusukan Besar are arranged through a tour operator, Emma Glorious Tours Sdn. Bhd. Those who sign up for a package will be ferried in a passenger boat and picked up at the jetty at a designated time according to a daily schedule. 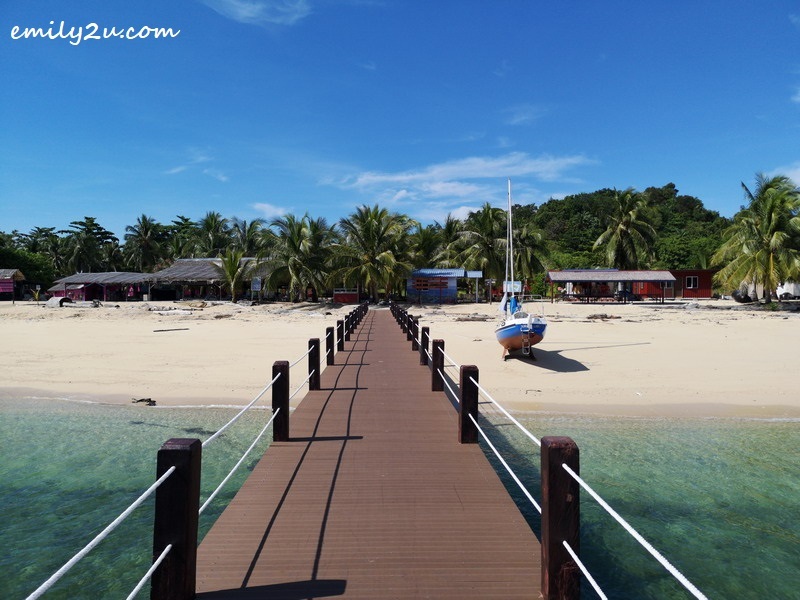 As Pulau Rusukan Besar is one of the more developed islands, rental chalets are available for visitors who wish to spend a night or two, here. 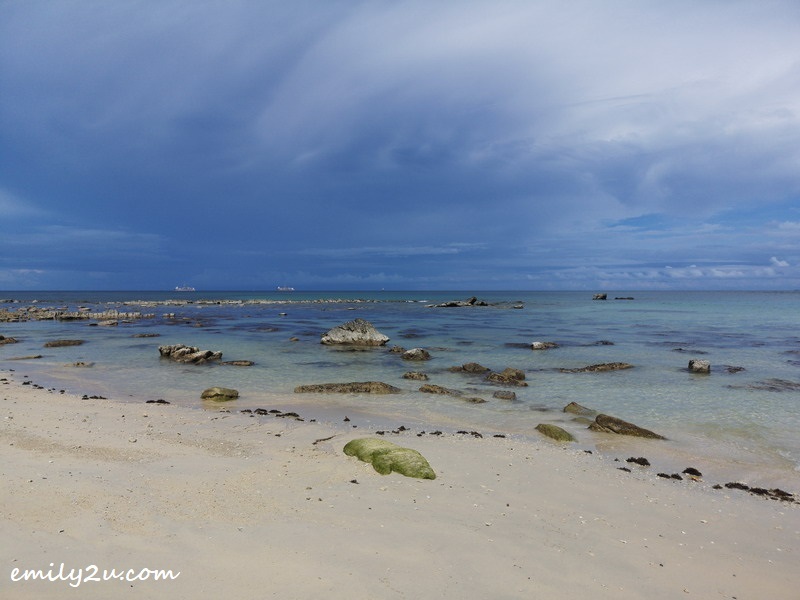 3 Responses for "The Hidden Treasure of Pulau Rusukan Besar, W.P. Labuan"
Hi, Thomas! Pulau Mayat is the three islands: Rusukan Besar, Rusukan Kecil and Kumaran. Look out Look out here I come. Thanks Emily for showing me this place. I’m in my early 20’s and making a bucket list of places to visit in my late 20’s or Early 30’s.